In about 6 weeks, on May 22, I will be starting my PCT thru-hike from the Southern Terminus at the US/Mexico border. I am almost physically itching to start. 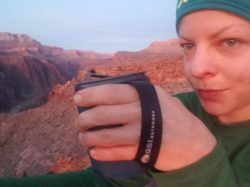 In this post I’m going to scratch my itch just a little bit by reflecting on some of the reasons why I want to thru-hike. To be clear, I mean this in a joyful, self-actualizing way. 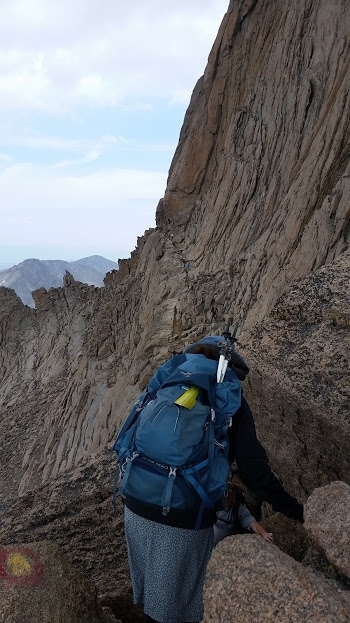 I don’t mean, “somebody is pressuring me to do this.” However, I DO mean that ever since the idea to thru-hike the PCT squirreled its way into my mind, whenever my thoughts have veered towards potentially not doing it, it feels wrong, “incorrect” somehow. I’m not a deeply spiritual person, but I believe in something resembling destiny, even if it’s one of our own choosing. Something deep inside me chose this destiny, and I feel it like a magnetic force, like a voice I can’t ignore. I want to go on a Hero’s Journey. The Hero’s Journey is one of the most common narrative structures. In it, the hero leaves their status quo to set off on an adventure. They see new places, meets new people, and learn new skills along the way. They overcome challenge after challenge until completing their quest and returning home, only to one day be called again to some new adventure. Some of my favorite games have involved Hero’s Journeys that have filled my heart with fantasies since I was a child. I wanted to be like the brave pioneers in The Oregon Trail, though ideally with less dysentery and cholera. (It did impress on me the dangers of river crossing from a young age!) I wanted to be like the player character in Pokemon games who leaves home on their Pokemon adventure. I wanted to be like Yuna in Final Fantasy 10 heading out on her pilgrimage. Perhaps the Hero’s Journey archetype speaks to some primal urge to wander that lurks within all of us. Or at least me. My day-to-day life is blessedly peaceful and free from struggle. But within this peaceful existence, I feel the urge to push myself every now and then. I try not to go for too long without being a bit scared. This urge has led me to wondrous experiences. I have participated in marathons, a triathlon (it turns out I hate swimming, oops), relay races, ultra relay races, a century ride, my first solo backpacking excursion, summiting Longs Peak (my only 14er to date, but a gnarly one), and even a powerlifting meet. Now I want to take the challenge a step further. LOTS of steps, in fact. I want to feel like there’s a possibility I might not succeed. I want to feel moments of struggle and despair. That may sound horrible to some people, but it sounds sublime to me. Maybe because I know there will be pie and pizza involved, too. I feel at home in the wilderness. 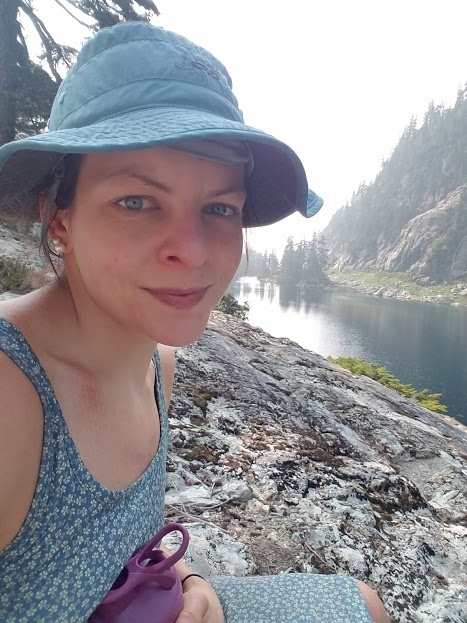 When I’m rolling around in the wilderness, particularly when that rolling involves going up and down mountains, I feel “at home” in a way that I can’t feel at home anywhere else – including inside my literal home. Perhaps the absence of civilization and structure forces me to be more attuned to the emotional home inside my body. Or something like that. I could go on adding to this list forever. However, no amount of coaxing my brain to spin that desire into coherent sentences changes the deeper truth of the matter. I want to hike because I want to. I realize that’s a meaningless statement, but the heart wants what it wants – what more is there to say? My name is Emily! I live in Austin, TX with my boyfriend and our three cats. I am a typical tech-savvy millennial looking forward to leaving it all behind to be a mountain hobo for a while. By the way - if you hear a seagull on the trail, it's not a seagull. It's me. 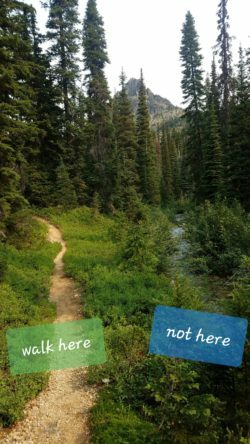 Actually, “I want to hike because I want to” is the most meaningful words in an altogether well-composed and completely coherent post. I will be thru-hiking the AT in 2020 and will take your words with me. Can appreciate your thoughts. Felt much the same way prior to my 2018 nobo adventure. Sending you positive thoughts as you prepare for a glorious 5 months.